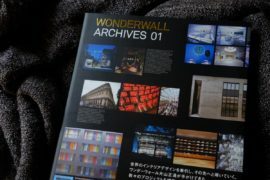 It’s nice to buy some new learning material from time to time. Not only to mix up your study routine but to treat yourself to some Japanese goodness again. Always a welcome motivational booster for me. My university life is becoming more and more demanding with each passing semester and Japanese studying time is becoming rare. 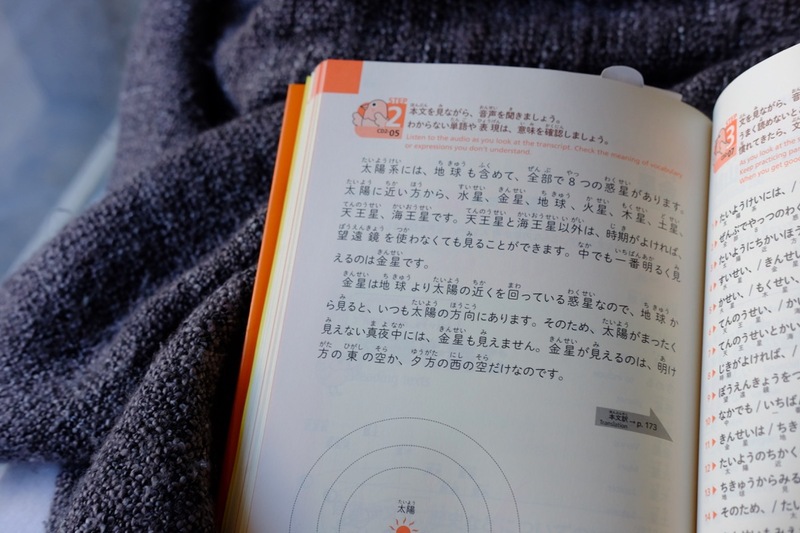 You all know how it is – after a long exhausting day and constantly new obstacles to overcome you just don’t have the energy for studying Japanese anymore. 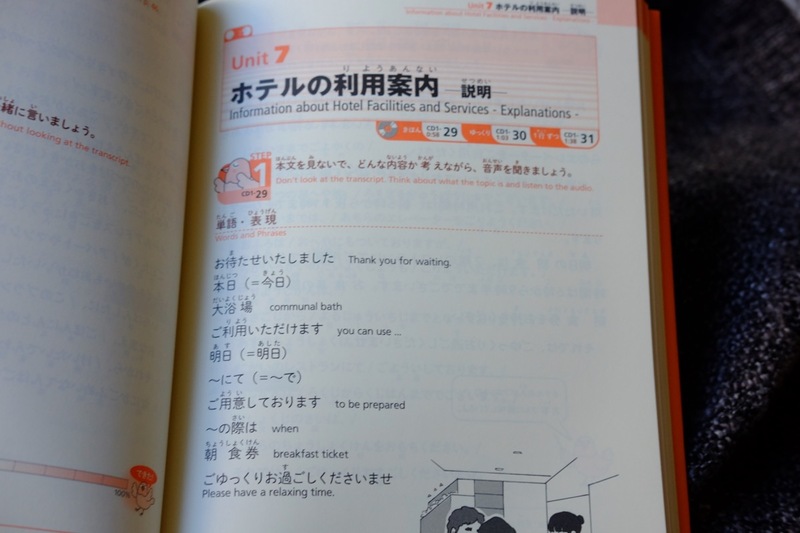 It still works to a certain degree for me but when the “heat times” with end tests approach I usually can’t manage to study Japanese and dentistry at the same time anymore. But even if I’m not steadily learning at times I’m still fit enough to shop for some neat new study materials. Which I can then use in my holidays. Btw. picked up a Nintendo Switch the other day and love (love) the system. It’s like they made this one especially for me. Maybe you remember my articles about great import worthy games for the Vita and maybe you remember as well that I’m a little handheld buff. The ability to be able to just continue playing wherever you are is just awesome. And so I can just search for the next temple in Zelda lying comfortably in my sheets before bedtime. And what makes the system even better (and relevant for JTease) is its region free capability. But more about the Switch in another post. 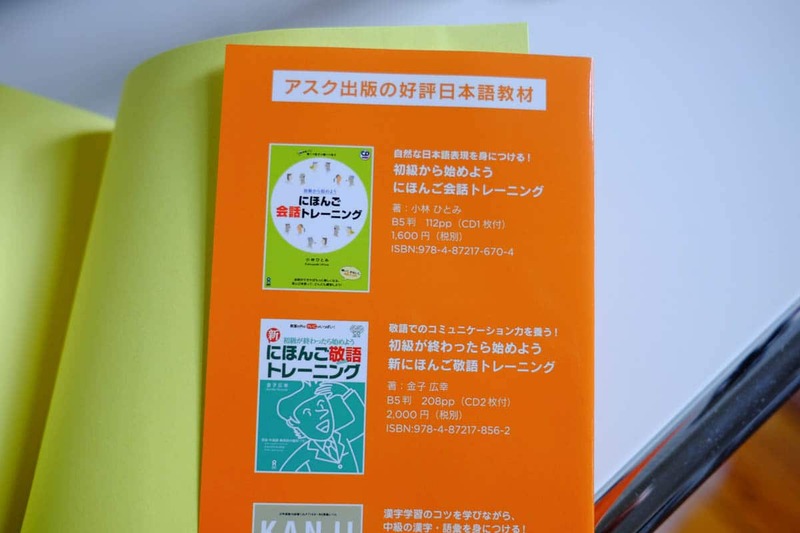 Reading aloud in Japanese is for all those who’re still struggling with understanding spoken Japanese and want to give their listening ability an extra work over. The great thing about this pretty little book by Ask publishing (who’re constantly putting out great stuff) is the form of their content. From actually pretty useful stock conversations to Japanese poetry there is everything in there. For each chapter there is a vocab list with keywords and phrases. 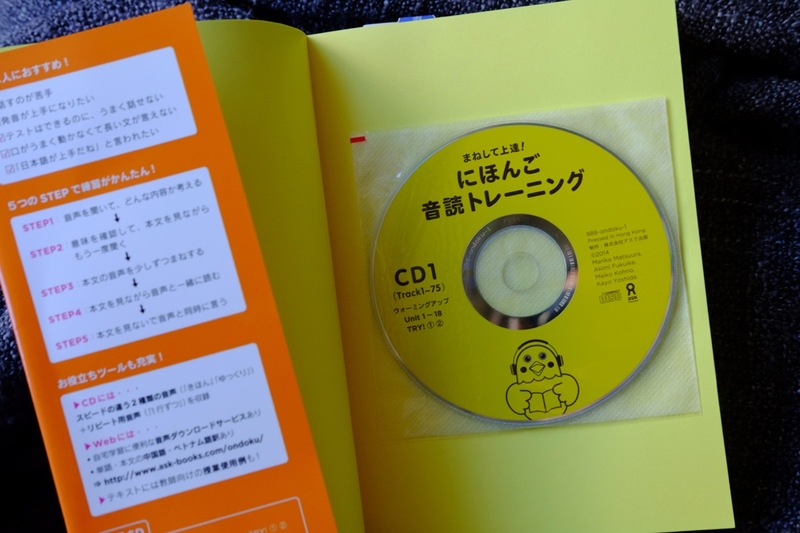 After that, each unit is divided into 5 steps which guide you through the listening, reading and speaking (if you’re up for it) section of the book and audio cd. 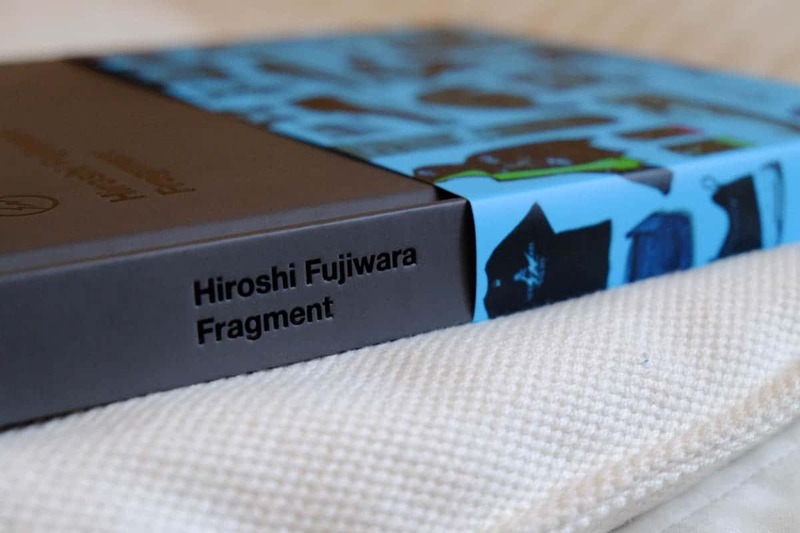 The actual translations are stacked away in the back of the book so you can’t cheat your way out of translating yourself, or better, you won’t get distracted by the translations. After each unit, you can take a little note on how well you managed this exercise from zero to 100%. Neat little easy to implement a feature which more textbooks should implement. One of the key factors to staying motivated is feeling your progress and what better way to keep track of that than actually taking a short note after each newly learned material. 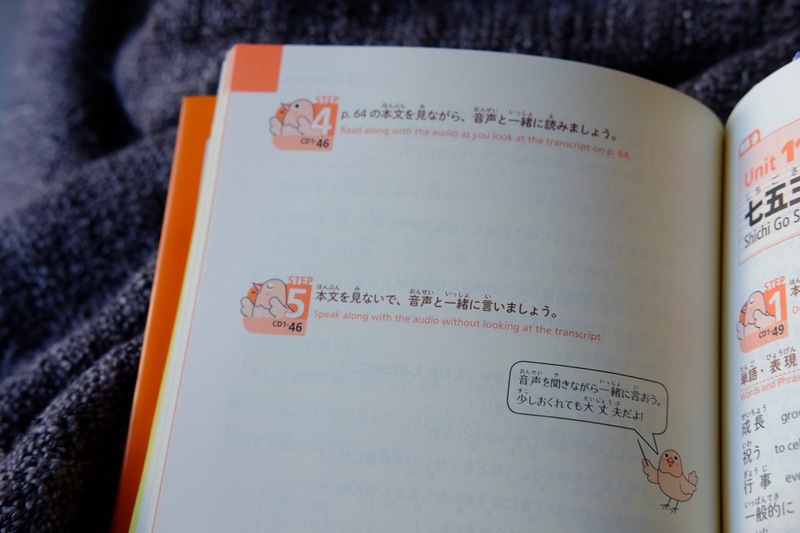 Reading aloud in Japanese is a pretty cool book to have because it actually contains some interesting stories and conversations for once. And the material gets more demanding as you progress and doesn’t just stick to one level the book is aimed it. I chose the beginner version though but even in there the content gets gradually more difficult (which I’m not used to from reading/listening along books). 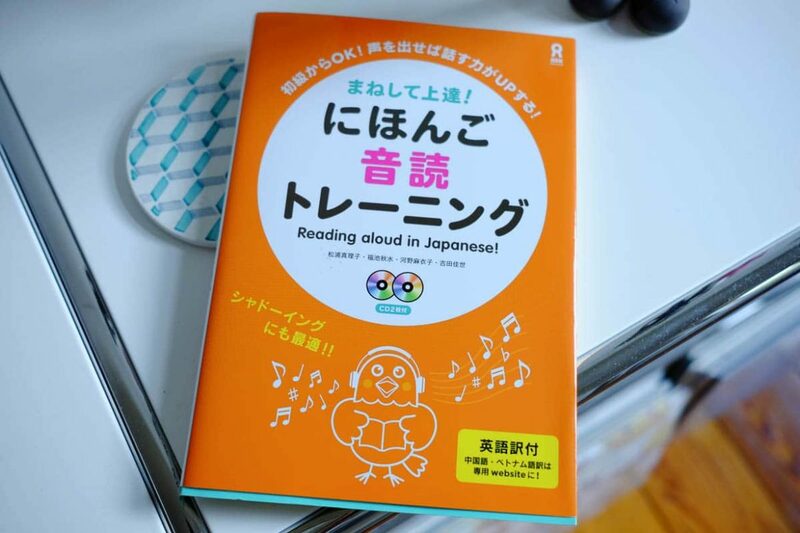 From beginner to intermediate learners this book is a great way to practice your Japanese listening and reading ability as you read along the dialogue as well. 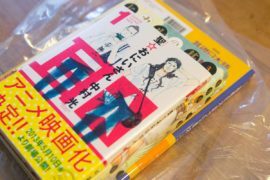 Recommended especially as a substitute for the Genki workbooks.